ready to start to play with the APP! Post your remix and modifications in the Otto builder community . Buy one that also works on 3.3V if you plan to use Lipo battery without step up converter. Otto DIY + would be the improved and advanced version of original #OttoDIY, the idea is to have the same base features DIY robot + Bluetooth control and programming + metal gear servo motors + optional rechargeable + changing modes by touch sensors + sound sensor + RGB light + other outputs +...? The exciting part is that we are doing open development with makers and hackers around the world so we are open to ideas, not only from expert,s you can join us with , feedback, social share, testing or any other contribution that you might think of. or follow @Alex Glow Live build video! The BT code for our APP has 9600 baud-rate so BT module must match that speed to be able to communicate with Arduino Nano via serial interface(UART) . Download the latest .APK for Android smartphones or tablets here. 4. Power on your Nano and after about 10-15 seconds everything should be finished and your BT should be configured (LED13 should start blinking). 1. Upload the sketch HC05_BT_config.ino to your Nano first, then disconnect Nano from USB. 2. Now connect BT to Nano as shown in diagram but do not connect VCC. 3. Plug in the USB to Nano and then connect VCC so BT enters AT mode. LED on BT should start to blink slower, about once every 2 seconds. (If this doesn't work, try holding the button on BT module while connecting VCC). Open serial monitor in IDE, set baud-rate to 9600 and line ending to Both NL & CR. 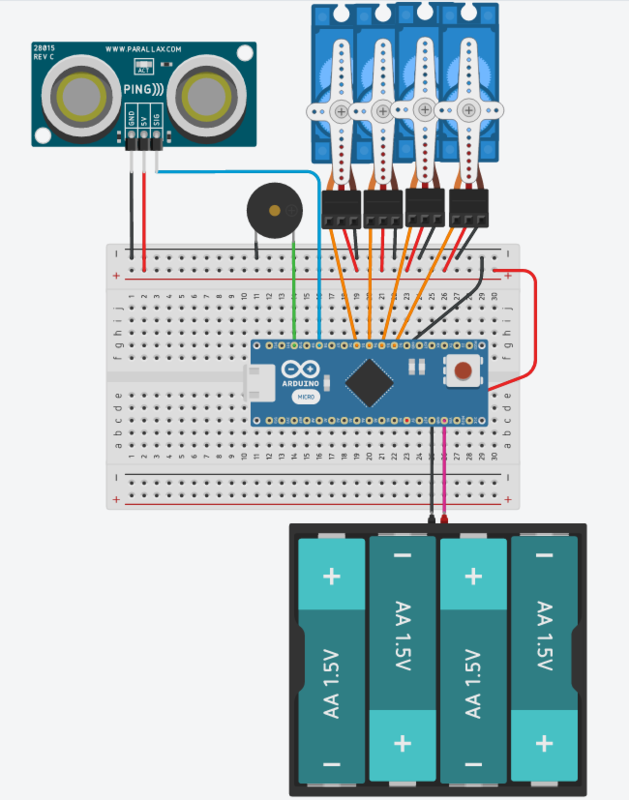 AT+POLAR=1,0 "enabling STATE pin to be used as reset for programming arduino over BT"
The easiest to code your own Otto is by using one of our Scratch based software extension or Arduino Blocks; graphical programming interface in Arduino mode. Working as quality control inspector at rail vehicles factory. I'm interested in programming microcontrollers, making toys and learning about everything. Humanoid Android Engineer & Designer im also a MAKER and Currently building an A.I based Neural Network for a Android and other prototypes. Computer Engineer and Robotics Teacher in Spain.